Whether you require payroll advice for a new business, or need to enlist professional payroll services after expanding your workforce, Keith Willis Associates utilise the latest technology to ensure your staff are paid on time, every time – without any complications. As experienced chartered accountants, we deliver reliable payroll services for small businesses in and around Nottingham. We make sure everything is organised in a clear, easy-to-understand manner – so you’re not left with a mountain of paperwork every month. 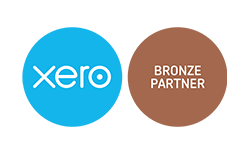 Professional payroll help is all about minimising the financial hassle for owners of small and medium-sized businesses. Our personable approach, backed by our extensive experience in the industry, makes us perfectly placed to deliver comprehensive payroll services to bring peace of mind to you and your staff. For more information on our accounting and payroll services, contact our team today.